Neuschwanstein Castle | Let's Go for a Trip! 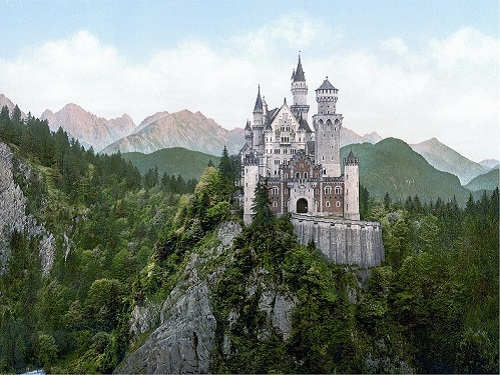 The Neuschwanstein Castle was built by Ludwig II of Bavaria in the 19th century as a personal refuge for the reclusive king. However after his death in 1886, it was immediately opened to the paying public. Today it is one of the most popular castle in Europe, with 6,000 visitors a day visiting the rooms in the summer. 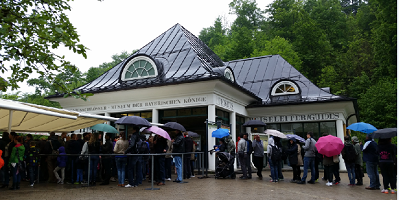 Entrance tickets are only available at the Ticketcenter Hohenschwangau in the village of Hohenschwangau below the castle. The entrance tickets include a guided tour of the castle at a particular time. The tour will begin punctually so you need to choose a time where you have sufficient time to get to the castle. Reserved tickets can be cancelled or changed Free of charge until 2 hours before entrance time. At Fussen, take bus 73 in the direction of Steingaden/Garmisch-Partenkirchen or bus 78 in the direction of Schwangau until you reach the stop Hohenschwangau. Check out the bus timing on bahn.de as well. The bus journey takes around 10 mins. From the ticket centre, it takes about 30 to 40 minutes to walk up to the castle. 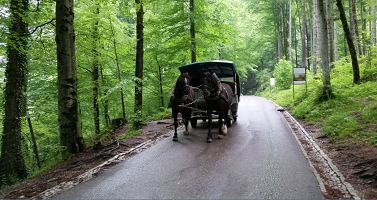 Alternatively you can take the bus or horse ride up to Neuschwanstein Castle. I would advice you to take the bus as the road is rather steep. To avoid the long queues at the ticket centre, I strongly encourage you to book your ticket online before you go. You have a grace period to cancel or change the date of your castle visit. I took the 08.53 train from Munich Hbf and reached Fussen at 10.55. After exit from the train station, it is just a very short walk to the bus station where both bus 73 and bus 78 were waiting. I got on one of the bus and reach Hohenschwangau at around 11.20am. 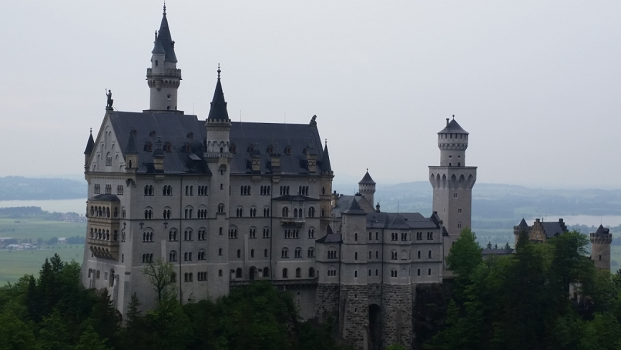 When I book the tickets online, I chose the King’s ticket which include both Hohenschwangau and Neuschwanstein Castle and select the start time of Hohenschwangau Castle as 1.25pm. The staff then allocated the visit time to Neuschwanstein Castle at 3.25pm. I had to collect my tickets latest by 12.25pm. Therefore I had plenty of time to explore the surroundings and to have lunch before my tour at 1.25pm.